. 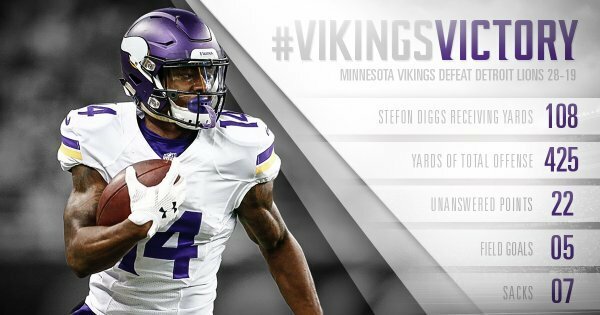 @teddyb_h2o finishes with a road career-high 118.3 passer rating after going 25/35, 316 yards, 2 TDs and 0 INTs. 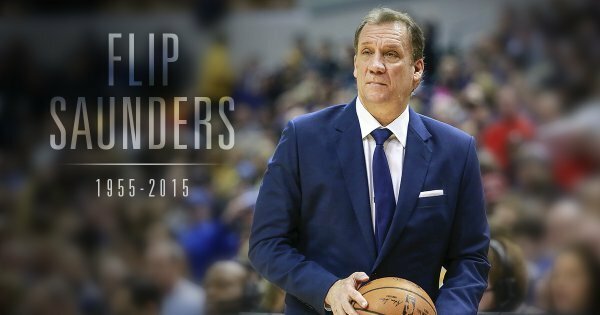 We are saddened by the death of @Timberwolves ' Flip Saunders. When things get tough, coaches give the ball to their best players. 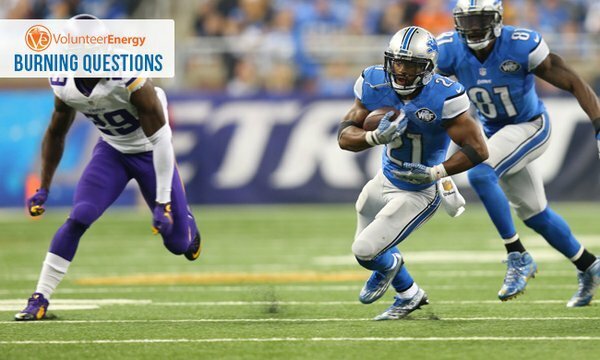 George Winn and Michael Burton are, apparently, the Lions' best players. Lions LB DeAndre Levy said he hopes to start jogging this week, but isn't sure when he'll be back. He is making trip to London. Caldwell said the people upstairs didn't think Calvin Johnson scored on late catch, which is why he didn't challenge. Caldwell on why George Winn, whom he called a brute, got key carry: We have to go with what we think works. Caldwell said Stafford obviously felt the left hand injury and thought it was an issue. Will undergo further examination. 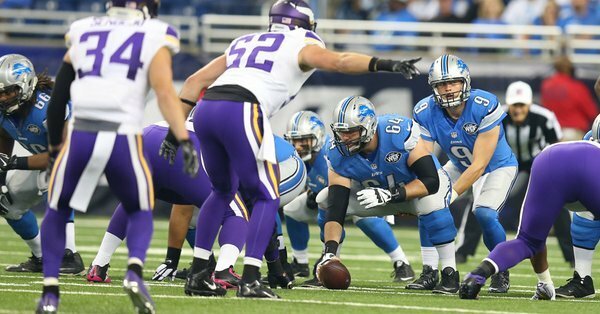 Stafford was going in for X-rays on his left hand after the game, Caldwell said. 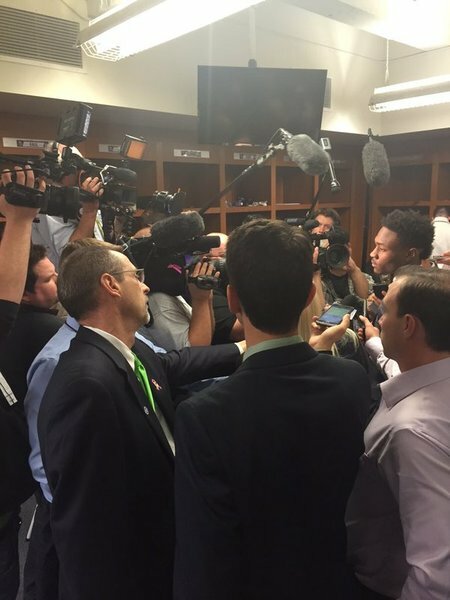 Caldwell said his team was "inept" for stretches today. Adrian Peterson said tobacco had nothing to do with why he got sick. Ate some shrimp yesterday, and thought that contributed to illness. 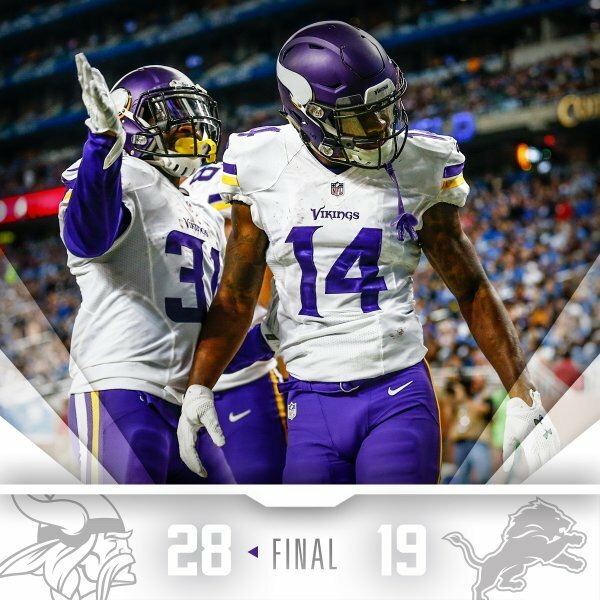 Today's #VikingsVictory was a total team effort! Stafford said his hand is fine, didn't impact his play. 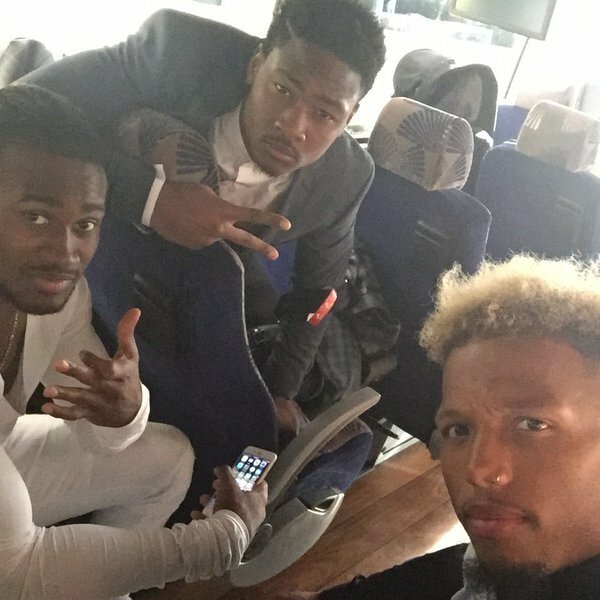 Adrian Peterson, who has a dip in, said he's not sure where FOX's tobacco report came from. Illness was due to something he ate. Vikings DE Everson Griffen said he was surprised he had a free rush on Matthew Stafford: You can't miss that layup. So sadden to hear about the loss of Coach Flip... Thoughts and prayers to his family and the @Timberwolves organization.. Came out of the game and heard the news of losing Flip. So sad. Thinking about the family and @Timberwolves . 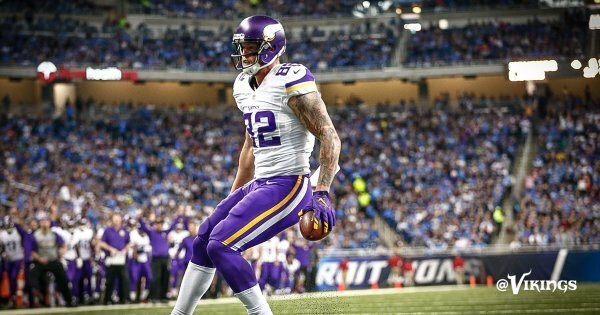 Great man.
.@KyleRudolph82 's touchdown was the start of a 22-0 #Vikings run. Prayers are with Flip's family and the @Timberwolves organization. Rest in Peace Flip. 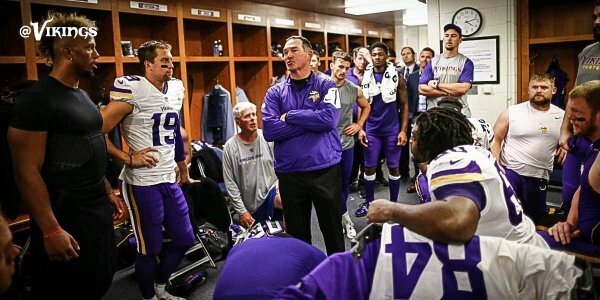 Take a look at Coach Zimmer's message to the team following the #VikingsVictory !